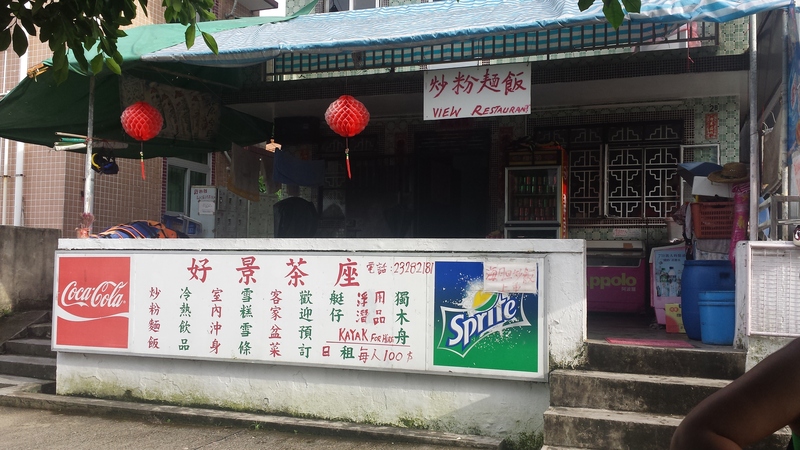 The Yung family restaurant is a landmark of Hoi Ha Village, known to residents and tourists for a hot meals, cool beverages, or renting kayaks & water sport equipment. Hoi Ha Wan is a marine and country park in the Sai Kung Peninsula of the New Territories (NT). Nestled in a small section of Sai Kung West Country Park is Hoi Ha Village, which sits on the bay with relatively low residency in comparison to most villages in NT. Hoi Ha Wan is a tourist destination popular for its substantial biodiversity, ecosystems, and environment for diving and kayaking. The World Wildlife Fund Marine Life Centre was established in 2003, and located in the northern part of the park it is Hong Kong’s premier education centre for marine biodiversity and conservation. Classic style three level, 700 sq. ft. houses in Hoi Ha village, just off the bay. Hoi Ha Village consists of approximately thirty five homes, all built under the authorization of the Small House Policy (SHP) which enables male descendants of indigenous NT villagers to build a three level, 700 square feet residence at zero premiums. 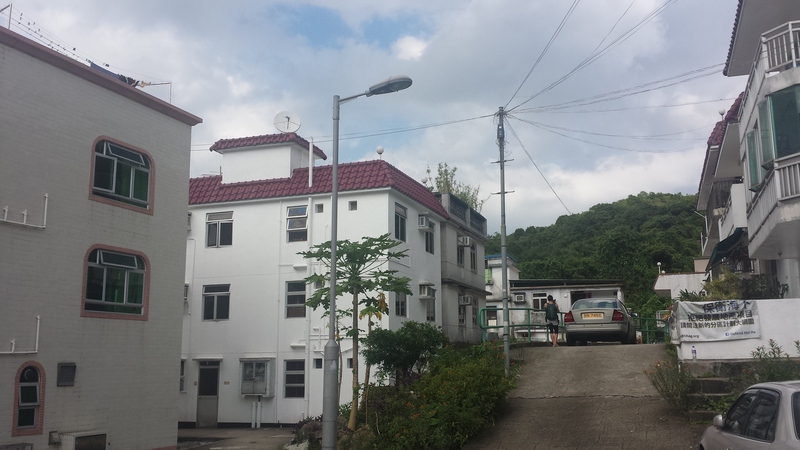 Hoi Ha Village homes in Sai Kung Country & Marine Park. With the availability of land diminishing each year and the lack of logistical planning associated with the building of these homes, the preparation for future development in Hoi Ha raises many questions and possible threats within the village. Amongst having an impact on biodiversity conservancy efforts, these threats also affect both indigenous, non-indigenous and expat villagers. However, consensus on how to address these issues is not met. 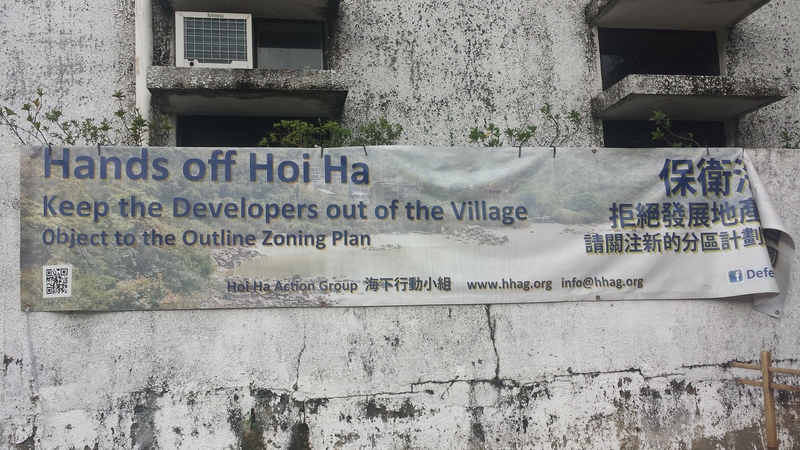 Signage calling for less development in Hoi Ha Village. 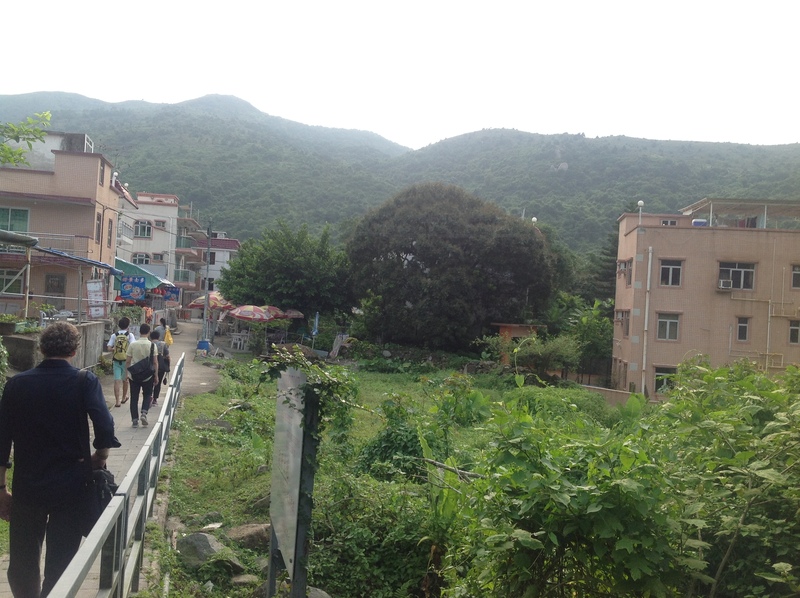 Long term residents of Hoi Ha Village believe that permission to build future homes should not be granted until an overall zoning plan for the village is established. Even if this were to take place, the preference is that a limited few homes actually be added to the village. They stand by their position as permanent home-owners of Hoi Ha with their home in the village being their “sole or main” residence despite having come from various parts of the world. As residents with vested interest they call for appropriate infrastructure for village development in the form of legal access, improvements in sewage treatment, and an increase in car parking spaces. These concerns and many others associated with the conservation of the marine country park, a site of Special Scientific Interest, they agree should be formally addressed before any future development takes place in the village. 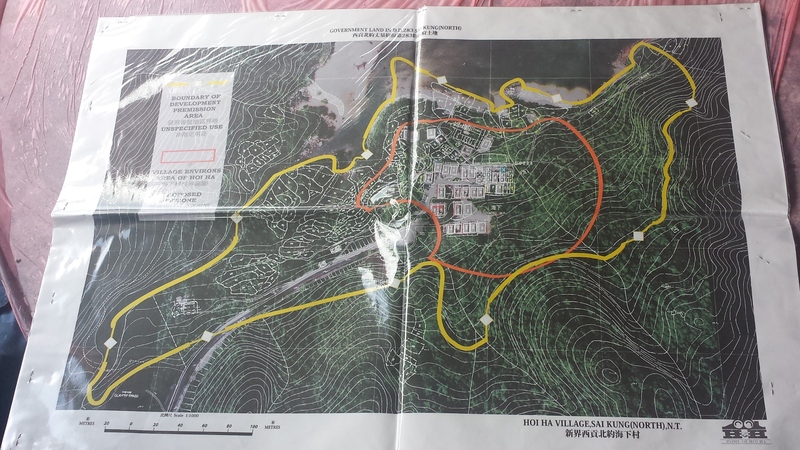 A map indicating village environs and the boundary of the Boundary of Development Permission area. Indigenous villagers of Hoi Ha also contemplate what further development of the village will cause and hope for future building and resources to be implemented properly. While issues like sewage or where to construct new homes are of great concern, building new homes on the space that is available to indigenous villagers is welcomed in the villages. In many ways they represent a different value system when it comes to space and how land is used, and question what is worth preserving when it comes to the overabundance of Hong Kong country parks in relation to the shortage of space obtainable for building houses. While the ability to capitalize on the SHP is still extended to male indigenous villagers in theory, the reality is that because of a scarcity of land and objections to build from other residents of the village, many years pass (sometimes decades) before a new home is actually built in Hoi Ha. In the last fifteen years as few as three homes have been built. The belief, then, reflects that the SHP will eventually die out because there is simply no more land on which future generations can build. The anticipation of the SHP fading out due to lack of space does not, however, address the current complications associated with new development. 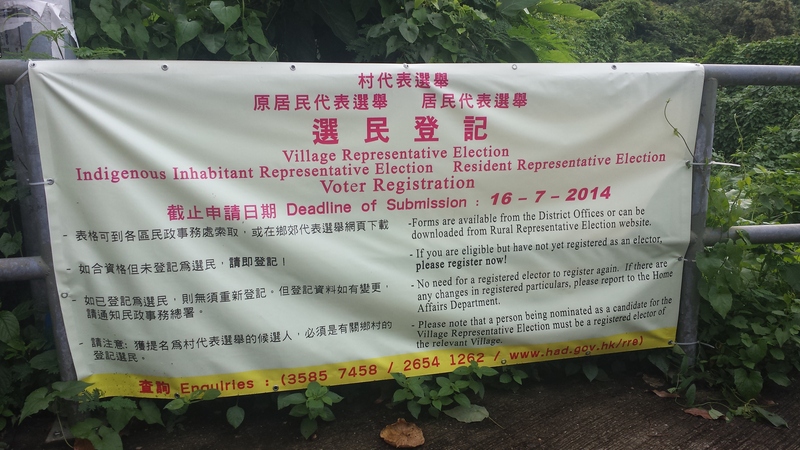 The issue is intensified by expat villagers’ limited ability to be instrumental in local politics and the impact of indigenous villagers who have emigrated to other countries with no intentions of moving back to Hoi Ha, yet still exploit privileges of the SHP as a result of their proven heritage. Indigenous villagers often exercise their right to sell the home they acquired through the SHP, usually at a substantial profit, but expats who purchase the homes are forever considered outsiders unqualified to shape the village. Decisions that impact sustainability, infrastructure, road expansion, car parking, and further accessibility to residents and tourists all fall on the hinges of indigenous village leadership and Hong Kong government’s unwillingness to get involved in NT village affairs deferring to the Heung Yee Kuk advisory body, per the guidelines of the policy.